Kwara State Chairman of the All Progressives Congress (APC), Hon. Bashir Bolarinwa has denied the report purportedly quoting him as adopting consensus as the only mode for electing the party's candidates ahead of the 2019 elections. Bolarinwa said that, neither the party nor him has chosen consensus mode of election over and above other means of election as enshrined in the party's constitution. "Furthermore, our members and the whole world must be refreshed that our party allows for three modes of electing members into either party or government offices. They are: direct, indirect and consensus modes of election. "For us in Kwara State, we have adopted the consensus mode in the recent harmonization exercise that threw up new executive members from the ward, local and state levels. We adopted consensus to cement our bond, in our efforts to take off almost immediately, so as to confront the hydra-headed problems confronting our dear state." The party chairman further stated that, modalities to be adopted will be decided by party leaders and relevant stakeholders. Bolarinwa reiterated the importance of unity amongst party members which he described as the first ingredient of achieving success. 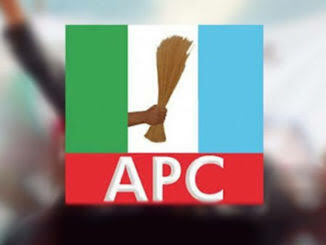 He warned purveyors of outright falsehood aimed at causing disaffection within the party members to get engaged with meaningful ventures, in his words, "Kwara APC is God's own baby that can not be aborted".